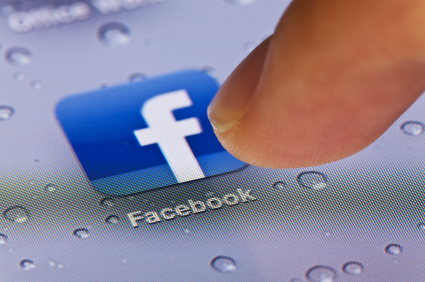 I’ll share a Quaintise secret with you – nearly 80% of all new client Facebook Likes comes from mobile devices. This should be no surprise to other healthcare marketing agencies, seeing that by the fourth quarter of last year, mobile generated 23 percent of Facebook’s advertising revenue, up from 14 percent in the third quarter, and at the end of last year had over 600 million active mobile users. Facebook and mobile goes hand-in-hand, and you need to know how to develop a physician Facebook Page that can compete in the mobile world. A recent study was conducted of 7,446 iPhone and Android smartphone owners between the ages of 18 to 44. From this survey, researchers discovered that Facebook (70%) use on mobile phones trailed only behind email (78%) and web browsing (73%). These are important statistics to keep in mind considering how important and how much focus Facebook is placing not only on mobile advertising, but on mobile ‘nearby’ apps. Nearby – Though this mobile feature is new, and currently not known by many mobile Facebook users, it has great potential for the future. Nearby uses the social graph of you and your friends to suggest nearby restaurants, retail stores, and other places of interest. The potential here is that if a potential patient’s friends or family has Liked, Shared, Checked In or Recommended your physician offices in the past, that potential patient will see your offices pop up before any other physician’s offices in the Nearby App. Why is this important? Because 68% of Facebook users (in a recent study) have said that a positive referral from a Facebook friend would make them more likely to buy a specific product or visit a certain business. Offers – Facebook Offers is exactly what it sounds like – offers that you can create on your physician page for your Facebook Fans. By providing offers to your Facebook Fans, those on mobile devices will be far more likely to utilize your physician offices for, let’s say, allergy shots or flu vaccines then they’re local pharmacist. Promoted Posts – Promoted Posts are a way to get your Facebook status updates in front of more eyes, ultimately increasing Reach and growing brand awareness. As the title suggests, promoted posts do exactly that – they promote specific posts to the top of the News Feed of your current Fans (to increase engagement) and to Friends of your Fans (to increase brand awareness). It is a wonderful little tool that is easy to use, highly efficient on Facebook mobile, and inexpensive to get started. With a variety of options for increasing mobile engagement, it’s important that you make each and every Facebook post count, that you continue to drive traffic to your website by including your URL in posts, and that you provide relevant and engaging information to your Fans. If you want the best social media marketing team in Los Angeles to handle your Facebook healthcare marketing campaign, give Quaintise a call today!